I have had the pleasure of taking Rob Herman and his family fishing for around seven or eight years now. Rob love’s to fish inshore Miami for tarpon. We have caught several tarpon over the years. 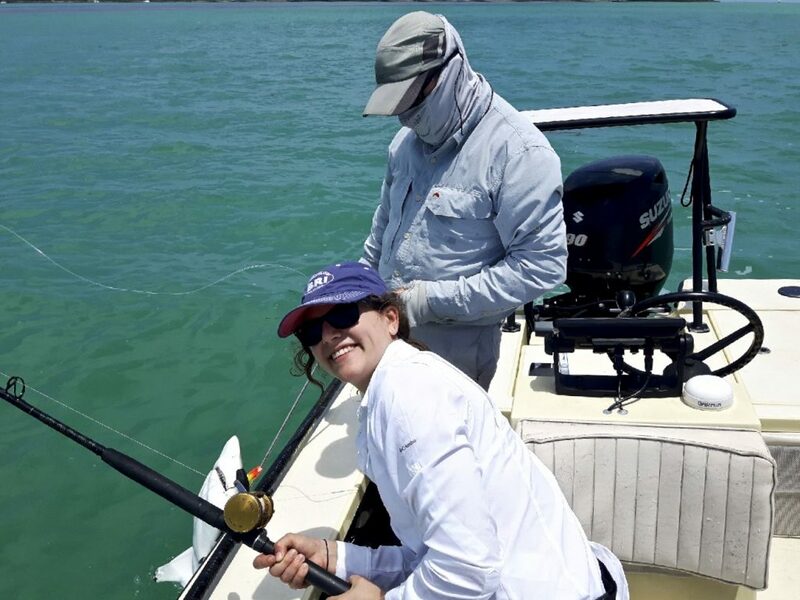 On this day I got to meet his daughter Melissa and do some tarpon fishing. They had fished the day before with another Miami flats fishing guide and they did well. They hooked one in an area off South Beach and it was eaten by a bull shark and another guide also had one get eaten there also. We both hate to have a tarpon get killed by a shark and agreed that we would not go to that spot. They also caught a tarpon at another spot and they saw lots of tarpon in that area rolling and free jumping. So we headed to that spot first thing and we did see a few tarpon rolling but very few. For some reason they just left that area I tried lots of areas that they in before, just were not at then. The pressure was on and I’m not getting it done. 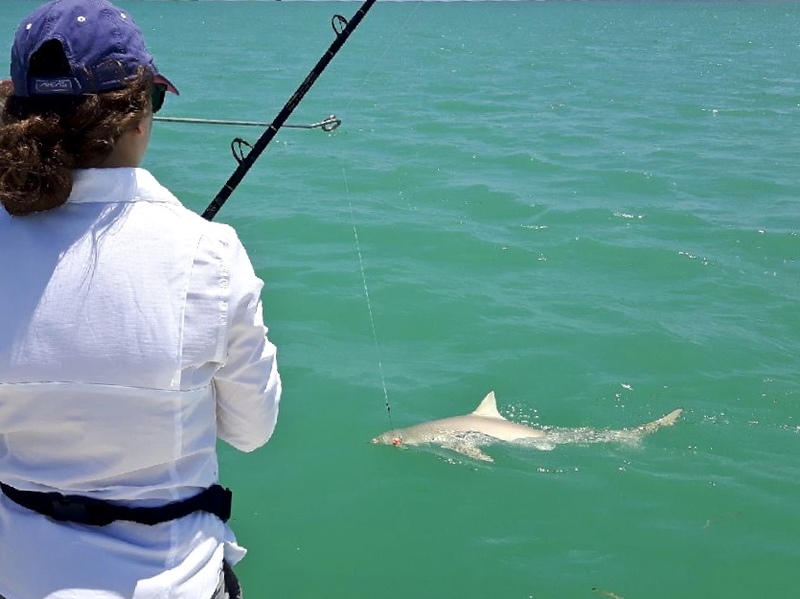 I did find a good number of them and we fished it hard, but could not get a tarpon to bite as we were running out of time, we decided to do some shark fishing. Melissa did a great job of catching bait very quick. We put a shark bait out and soon we hooked the first shark. It was a reef shark around four feet long and that is about as big as this species of shark gets. We took the hook out and let that shark go. We got set up for another, hopefully a bigger shark this time. We had a nice sized black tip shark crush the bait and took off with a long run. I don’t recall that one jumping but it did take a very long run. After circling the boat about five times, we got it along side for a photo.